Huntingdonshire (/ˈhʌntɪŋdənʃə/ or /ˈhʌntɪŋdənʃɪər/; abbreviated Hunts) is a non-metropolitan district of Cambridgeshire, as well as a historic county of England. Its council is based in Huntingdon and the district also includes the towns of St Ives, Godmanchester, St Neots and Ramsey. The district population was recorded as 169,508 at the 2011 Census. The area corresponding to modern Huntingdonshire was first delimited in Anglo-Saxon times, and the modern boundaries have remained largely unchanged since the 10th century, though it lost its county status in 1974. 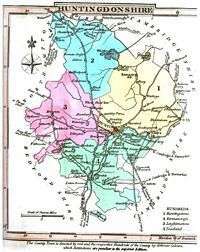 In 1889, under the Local Government Act 1888 Huntingdonshire became an administrative county, with the new County Council taking over administrative functions from the Quarter Sessions. 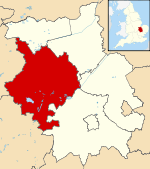 The area in the north of the county forming part of the municipal borough of Peterborough became instead part of the Soke of Peterborough administrative county, in Northamptonshire. In 1965, under a recommendation of the Local Government Commission for England, it was merged with the Soke of Peterborough to form Huntingdon and Peterborough – the Lieutenancy county was also merged. Also at this time St Neots expanded westward over the river into Eaton Ford and Eaton Socon in Bedfordshire. 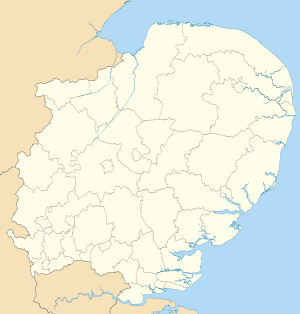 In 1974, under the Local Government Act 1972, Huntingdon and Peterborough merged with Cambridgeshire and Isle of Ely to form the new non-metropolitan county of Cambridgeshire. A Huntingdon district was created based closely on the former administrative county borders, with the exclusion of the Old Fletton urban district, which became part of the Peterborough district, as did the part of Norman Cross Rural District in Peterborough New Town. The district was renamed Huntingdonshire on 1 October 1984, by resolution of the district council. Original historical documents relating to Huntingdonshire are held by Cambridgeshire Archives and Local Studies at the County Record Office in Huntingdon. The Local Government Commission considered in the 1990s the case for making a Huntingdonshire unitary authority as part of a general structural review of English local government, that led to unitary authorities in two other English counties that had been abolished: Rutland and Herefordshire. The Draft Recommendations envisaged three possible scenarios for structural change in Cambridgeshire: the preferred option and the third option had a unitary Huntingdonshire, whilst the second option would have seen Huntingdonshire combine with Peterborough and Fenland to form a "Peterborough and Huntingdonshire" unitary authority. The Final Recommendations of the Commission for Cambridgeshire recommended no change in the status quo in Cambridgeshire. The districts of Peterborough and Huntingdonshire were referred back to the commission for a reconsideration in 1995. The commission recommended the creation of a Peterborough unitary authority, but proposed that Huntingdonshire remain part of the shire county of Cambridgeshire, noting that "there was no exceptional county allegiance to Huntingdonshire, as had been perceived in Rutland and Herefordshire". David McKie writing in the Guardian noted that "Writers-in demanded an independent Huntingdon; but MORI's more broadly-based poll showed that most Huntingdonians - that is, most of John Major's electors - were content to stay part of Cambridgeshire." After the failure of Huntingdonshire to become a unitary authority, a Huntingdonshire Society was set up to promote awareness of Huntingdonshire as a historic county, and to campaign for its reinstatement as an administrative and ceremonial entity. In 2002 it established an annual "Huntingdonshire Day" on 25 April, the birthday of Oliver Cromwell. Huntingdonshire is the birthplace of bandy, now an IOC accepted sport. According to documents from 1813, Bury Fen Bandy Club was undefeated for 100 years. A member of the club, Charles Tebbutt, wrote down the first official rules in 1882 and helped spread the popularity of the sport to many countries. Huntingdonshire County Cricket Club is considered one of the 20 minor counties of English and Welsh cricket; even though it has never played within the Minor Counties Championship, it has its own individual Cricket Board and played in the English domestic one-day competition from 1999 to 2003. Lucy M. Boston (1892–1990), children's writer, lived in Huntingdonshire from 1937 until her death, and set the Green Knowe series there. Henry Brandon, 2nd Duke of Suffolk and his brother Charles Brandon, 3rd Duke of Suffolk, nephews of Henry VIII, died of sweating sickness at Buckden Towers within an hour of each other on 14 July 1551. John Butcher (1946–2006), Conservative MP and junior minister, was raised in Huntingdonshire and attended Huntingdon Grammar School. Catherine of Aragon (1485–1536), previously Queen of England, died in confinement at Kimbolton Castle. Charles Bowen Cooke (1859–1920), locomotive engineer, was born at Orton Longueville. Oliver Cromwell (1599–1658), Lord Protector of England, Scotland and Ireland 1653–58, was educated at Huntingdon Grammar School. Alice and Thomas Curwen were active in the county as Quaker preachers in 1677–78. William Henry Fellowes (1769–1837) of Ramsey Abbey, was a longstanding MP for Huntingdon and then Huntingdonshire. Nicholas Ferrar (1592–1637), scholar, courtier and cleric, spent the last eleven years of his life at Little Gidding. His Anglican community there inspired the fourth poem in T. S. Eliot's Four Quartets. Robert Fox (1798–1843), antiquary and local historian, was born and died at Godmanchester. Olinthus Gregory (1774–1841), mathematician and editor, was born at Yaxley. Henry of Saltrey, a Huntingdonshire Cistercian monk, wrote Tractatus de Purgatorio Sancti Patricii (Treatise on the Purgatory of St Patrick) in about 1180–84. Ann Jebb (1735–1812), political reformer and radical writer, was born at Kings Ripton. Michael Lawrence (born 1943), children's writer, is best known for the Jiggy McCue series. John Major (born 1943), politician and Prime Minister (1990–97), was MP for Huntingdonshire. Chris Morris (born 1962), satirist known for the television series Brass Eye and The Day Today. Philip Nye (1595–1672), Independent theologian, became the incumbent of Kimbolton and an adviser to Oliver Cromwell. Sir William Papworth (1331–1414) of Grafham and Papworth St. Agnes was a member of five 14th-century parliaments. Samuel Pepys (1633–1703), MP and diarist, attended Huntingdon Grammar School. Henry Royce (1863–1933), pioneering car manufacturer and founder of Rolls-Royce Limited. William Sparrow (1641–1729), cut the famous turf maze at Hilton in 1660. ↑ "Non Metropoliation District population 2011". Neighbourhood Statistics. Office for National Statistics. Retrieved 13 July 2016. ↑ Local Government Commission for England. Final Recommendations for the Future Local Government of Cambridgeshire. October 1994. ↑ Local Government Commission for England. Final Recommendations on the Future Local Government of: Basildon & Thurrock, Blackburn & Blackpool, Broxtowe, Gedling & Rushcliffe, Dartford & Gravesham, Gillingham & Rochester upon Medway, Exeter, Gloucester, Halton & Warrington, Huntingdonshire & Peterborough, Northampton, Norwich, Spelthorne and the Wrekin. December 1995. ↑ And you're from where? The Times. 20 April 2002. ↑ Cromwell's own county. The Daily Telegraph. 19 June 2004. ↑ "Me, a District Councillor?" (PDF). Huntingdonshire District Council. 4 June 2014. Retrieved 13 July 2014. 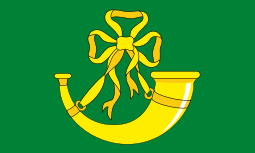 Wikimedia Commons has media related to Huntingdonshire. The Lost Pubs Project: Lost and closed pubs of Huntingdonshire.